It’s that’s time of the year again! Yes, that’s right, in just two weeks’ time, London Coffee Festival will be in full swing, returning to the Old Truman Brewery in Brick Lane. It’s a little earlier in the year than usual, running from Thursday, 28th March to Sunday, 31st March. 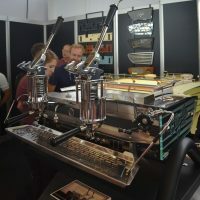 If it’s your first London Coffee Festival, take a look at my round up of last year’s festival. Alternatively, if you’ve been before, there’s much that will be familiar, with a few new things to keep you interested, all of which I’ll cover in this preview. The festival kicks off with industry days on Thursday/Friday, followed by an extended consumer session on Friday evening and three three-hour consumer sessions on Saturday/Sunday (Brunch, Lunch and Teatime). If you’re thinking of coming, my usual advice applies: get your ticket now. For starters, you get a significant discount on the on-the-door price (at least £6.50, with the discounts adding up for the more expensive tickets). What’s more, if you leave it to the day of the festival, your slot could easily be sold out. You can buy tickets for individual sessions/industry days, or there are VIP tickets covering the whole day on Saturday/Sunday. It’s that time of year again. Next week sees the arrival those fixtures of the autumn calendar: Halloween, Bonfire Night and, of course, the Manchester Coffee Festival. Yes, that’s right, the Manchester Coffee Festival is back, this year on the weekend of 3rd/4th November. Once again, the festival is gracing the halls of the Victoria Warehouse in Stretford, where it’s been since the second Manchester Coffee Festival in 2015. 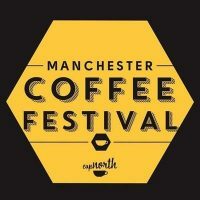 This is one of my favourite coffee festivals and a great chance to celebrate the coffee culture of Manchester and beyond. I’m pleased to say that I’ve been to all four so far, starting with the original Cup North in 2014. I’ve been so keen to attend that last year I flew back from Chicago, arriving into Manchester the day before the festival! This year I’ve planned things a little better, flying back from Tokyo the weekend before (ie yesterday!). Welcome to the first of my write-ups from the fourth Glasgow Coffee Festival, which took place last weekend in the Briggait, the festival’s home since its inception in 2014. Last year the festival moved from the cold, autumn months to the warmth of a Glasgow spring and was also expanded to two days. This year it retained this format, taking place over the weekend of 19th/20th May. 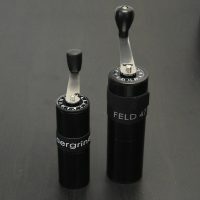 For the first time, I attended both days, although this is probably only recommended if you are a coffee blogger and/or serious coffee nut, since I suspect that an average (normal?) person can see everything they want in a single day. For me, however, it meant that I could take a more relaxed approach, visiting pretty much everything/everyone at the festival, although, as usual, I missed out on the competitions and all of the presentations, masterclasses and all but one of the cuppings. Once again I’ve split things into three parts. While there’s no particular theme to Part II or Part III, Part I takes a quick tour of the venue, then looks at one of festival’s main themes, reusable cups, the Glasgow Coffee Festival being the first coffee festival to go disposable free. It’s that time of year again! No sooner has one festival finished, than another looms on the horizon. 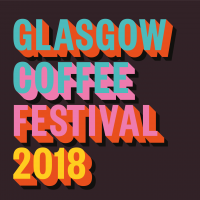 In this case, it’s the fourth Glasgow Coffee Festival, now firmly set in its new timeslot of May. For its first two years (2014 and 2015) it was a one-day even which took place in the chilly months of October/November. 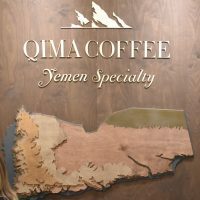 However, it skipped a year in 2016 to move warmer times in May, as well as expanding to occupy the whole weekend, putting it on a par with the likes of the Manchester Coffee Festival, which it closely resembles in scale and atmosphere (compared to, say, the London Coffee Festival). This year it takes place over the weekend of 19th/20th May. Although called the Glasgow Coffee Festival (it’s held in Glasgow, after all), it’s more a celebration of Scotland’s excellent specialty coffee scene, with lots of contributors from further afield as well. Perhaps the biggest news this year is that the festival has done away with disposable cups, a subject close to my heart. Don’t worry, if you don’t bring your own cup, KeepCup will be on hand to lend festival-goers a cup for the weekend, in exchange for a £5 deposit.